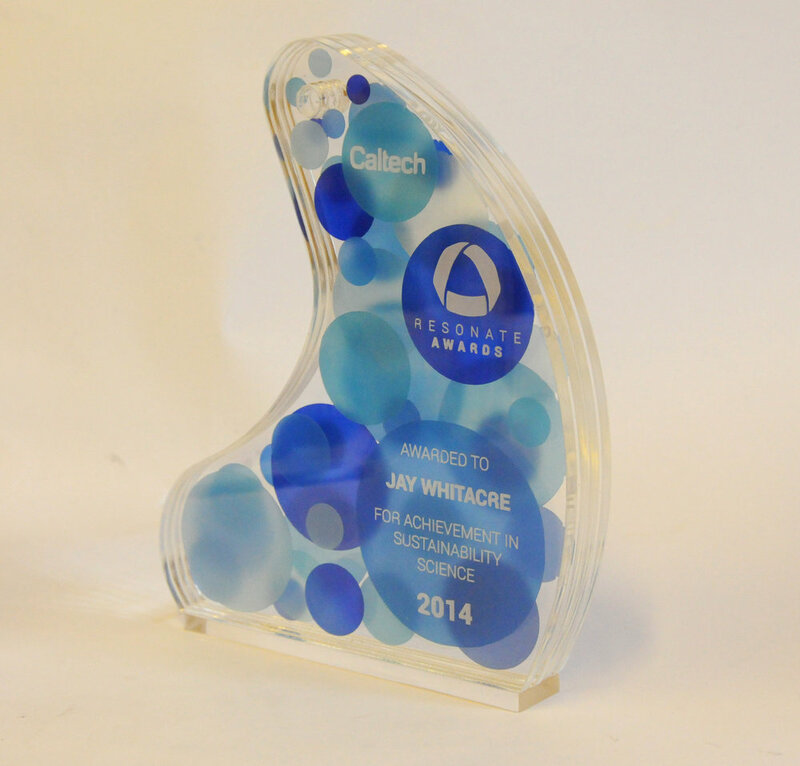 Sarah was commissioned to design and make the award trophies for The Resnick Sustainability Institute's annual awards at Caltech in California. 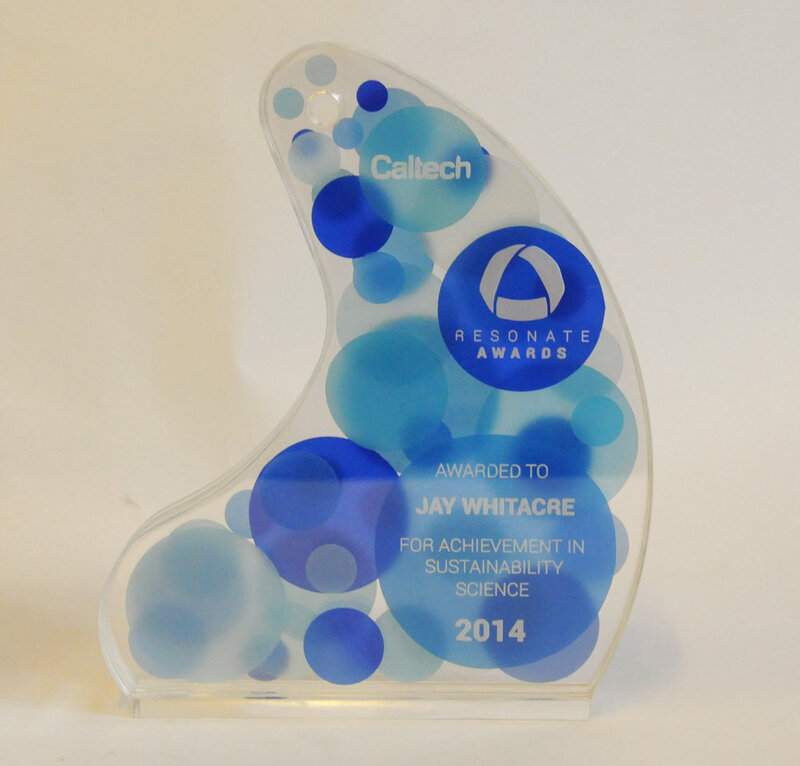 Five deserving winners were honoured for their breakthrough and achievements in energy science and sustainability. 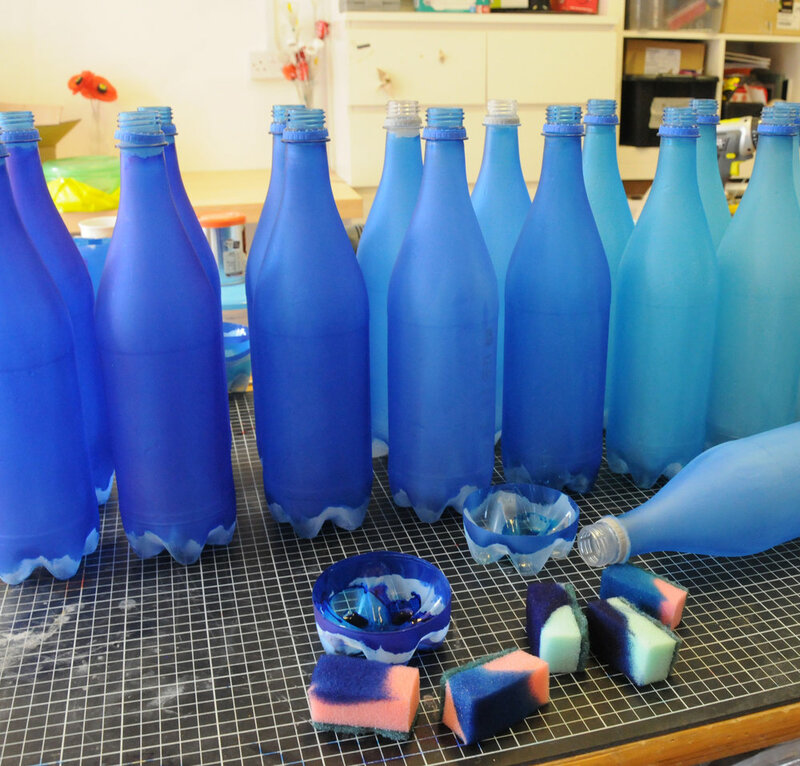 Sarah made the awards from waste plastic bottles sandblasted then dyed different shades of blue. 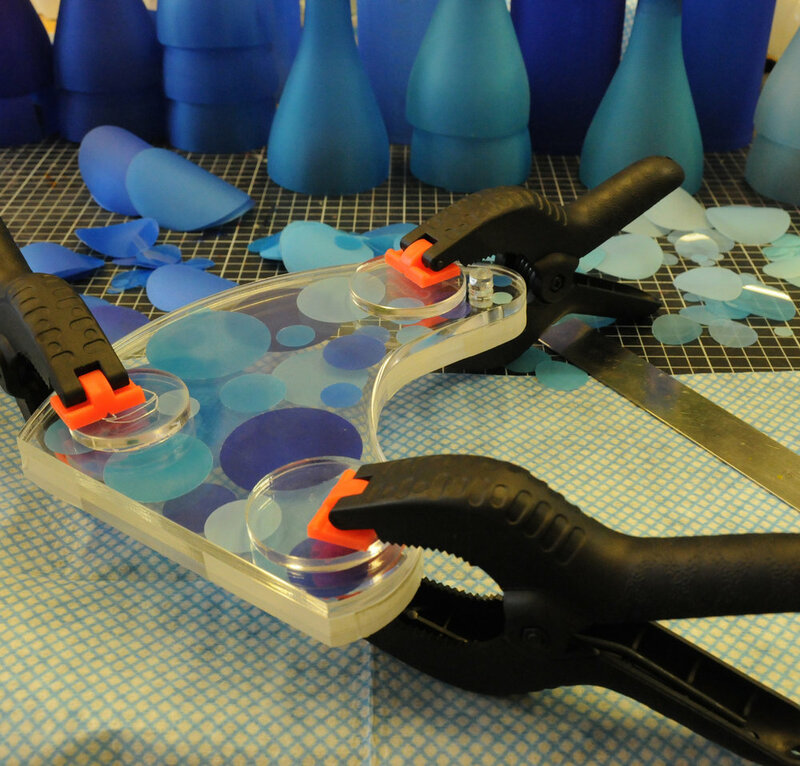 Different sized circles were then cut out from the bottles and sandwiched in between laser cut acrylic shapes. The circles are suspended between the layers and create an overlapping effect, inspired by the awards logo. 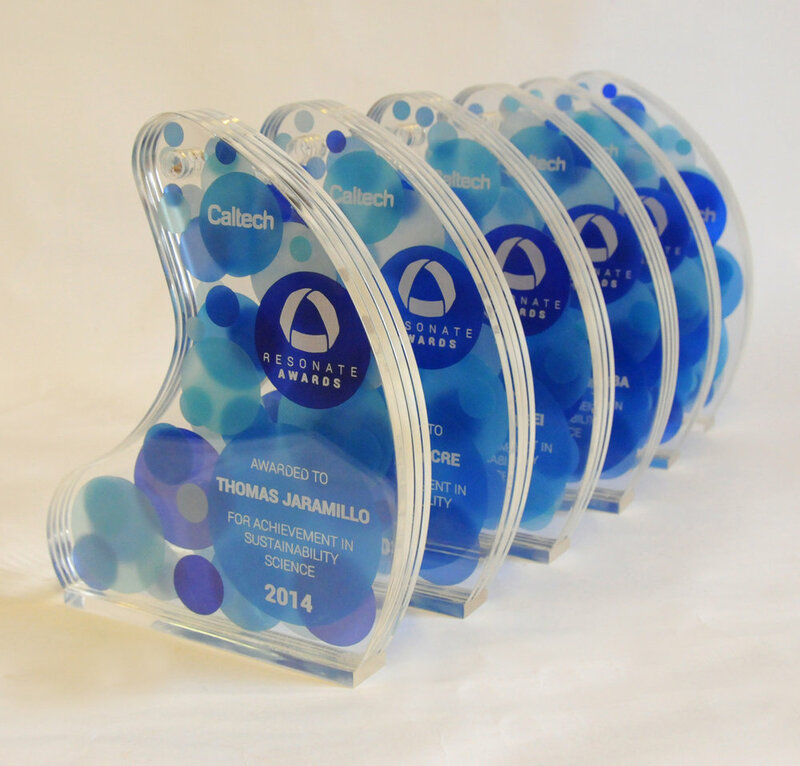 Massive congratulations to the winners! You can watch a video of the awards ceremony here. 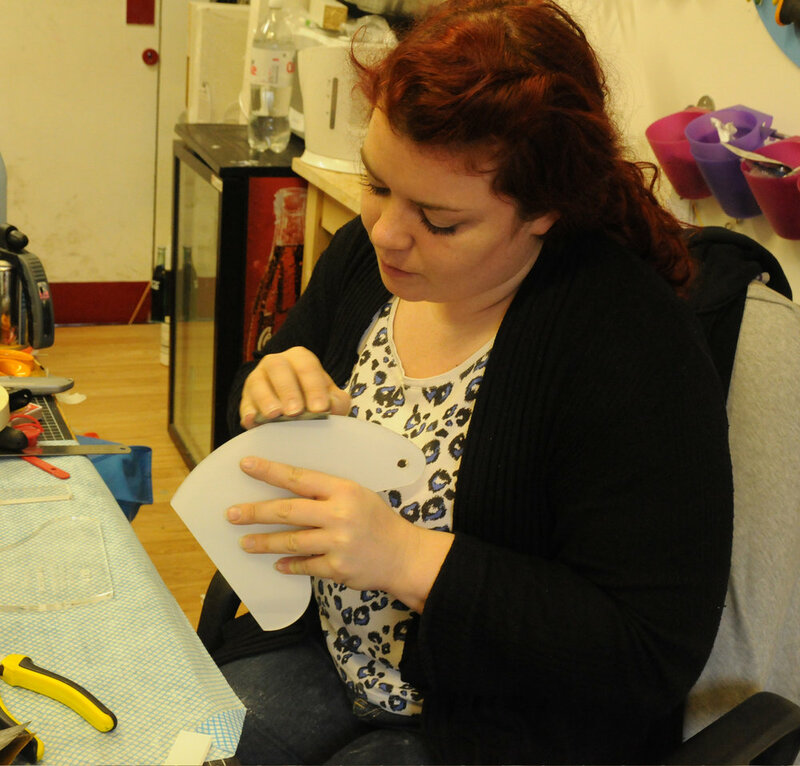 Sarah has made a different award trophy design every year for the awards ceremony since 2014.